Gaao+, aka GaaoPlus, allows Indian users to sing, record, polish and share pop Indian songs, mostly Bollywood films songs, with their smartphones. Packed with a songbook of 10,000 and growing instrumental tracks of trending Bollywood songs, the brand-new app plays as a community where Indian music lovers can make their voices heard as well as get connected musically by liking, gifting, commenting, and messaging each other. With scrolling timed-lyrics, users can sing along with the instrumentals while recording. Besides, a key adjuster is provided to meet different pitches. With professional voice enhancement technology, Gaao+ also provides various sound effects by adding echo and reverb such as Studio, Concert, Club, Hall, Pop, Rock, Hip Hop, R&B, Electronic, Phonograph and Jazz. 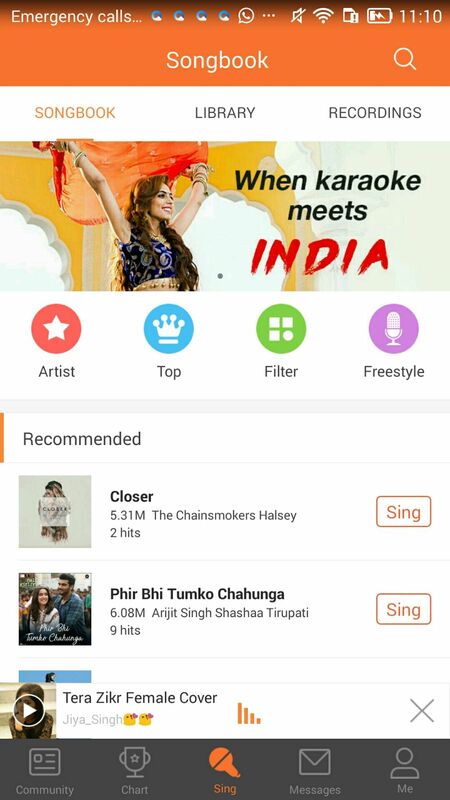 In fact, previous to [Gaao+], there was the first-and-the-only Indian karaoke app called Gaao available on play store whose server was closed for Indian users in April 2017. “…hundreds of thousands Bollywood karaoke fans have been crying Gaao back on social media for almost a year, so here we are;” said Tiger Zhang, the CEO and co-founder of Eagle Mobi, “Gaao+ is Gaao plus more”. When it comes to Gaao+ vision, according to Tiger, it aims to develop the biggest Bollywood karaoke singing community in India.